Ponsse is a brand that has existed for nearly a half-century, popular especially among foresters. It provides machines for harvesting timber, such as harvesters and forwarders. It also produces over two-thirds of spare parts used in forestry machinery. That is why the producer has decided to build a new logistics center to ensure efficient and fast support to its maintenance services worldwide. Ponsse has its headquarters in Finland. The factory in the municipality of Vieremä manufactures most of the machinery spare parts. This is a huge challenge for the logistics function. 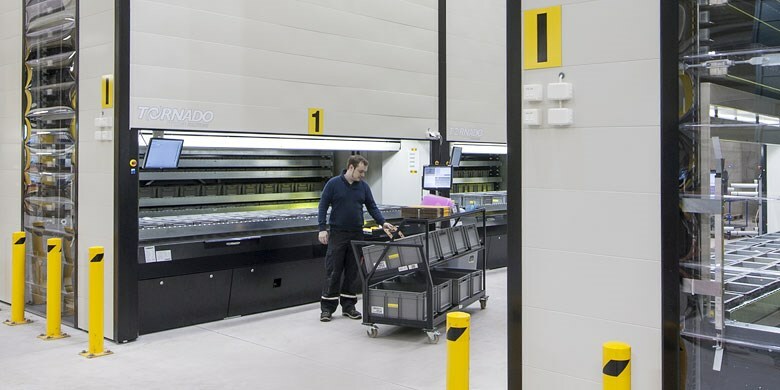 Although Ponsse needs only a small provision of components for the customers from the immediate area, the main aim of the distribution centre is to ensure fast and efficient supplies to the network of 150 international service teams, spread all over the world. Thus, the logistics centre plays a key role in providing quality maintenance services. The centre is now working three shifts, from Sunday night to Friday evening, so it was important to implement the solutions which are robust enough for this kind of operation. 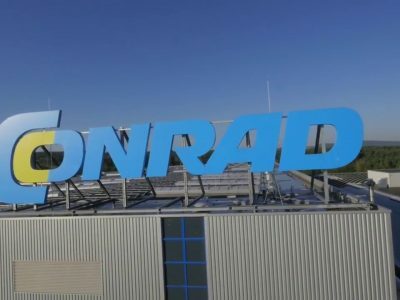 The company has decided to build a new logistics centre to perform distribution tasks for all spare parts and replace its warehouse in Iisalmi, which anyway had already been “cramped”. They have decided to invest in automation – namely Tornado storage machines. This is a dynamic system for storing and searching products, increasing picking efficiency to 65 percent and saving floor area to 70 percent. The device is ultra-fast and practically soundless. It is computer-controlled, and its operation is based on the principle of lift. It uses “product to person” technology which minimizes the need to walk and wait for the order. It has also reduced product search time and picking errors. Speed and accuracy of order picking is now 99.9 percent. The company use a special indicator light to reduce errors, if any. The equipment is enriched with additional openings (for different floor levels). By moving from the old warehouse to the new centre, the company has tripled its storage capacity. It was a result of using eight Tornado storage machines. They can be used as a lift between different warehouse or floor levels with multiple access openings. As a result, order handling process has been reduced to a minimum. 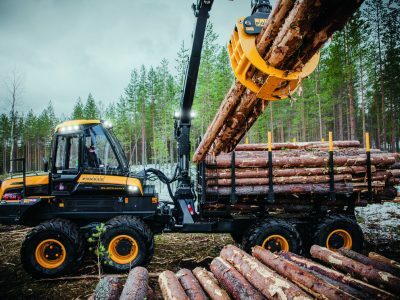 Although Ponsse produces big forestry machines, maintenance works require numerous small parts. Standard pallet racks allow the company to store bigger parts, while Tornado storage machines are perfect for storing small items. The new logistics center has the area of 4.5 thousand square meters. It is relatively small, considering the fact that it currently provides 42 thousand cubic meters and may store about 20 thousand items, offering room for 7 thousand pallet spaces. At present, it supplies yearly about 100 thousand separate articles all over the world, with next day delivery available in Sweden and Central Europe. The flow of information and materials is fully controlled on all the process stages. 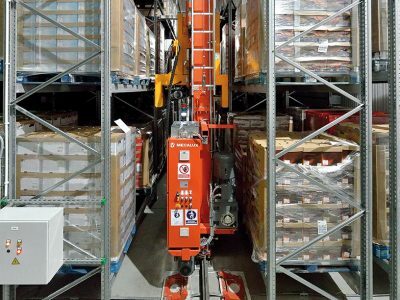 The application of the Warehouse Management System enables gradual automation. The logistics center works exactly the way it should” – said Jussi Kärkkäinen, Logistics Manager in Ponsse. Logistics 4.0 in practice. 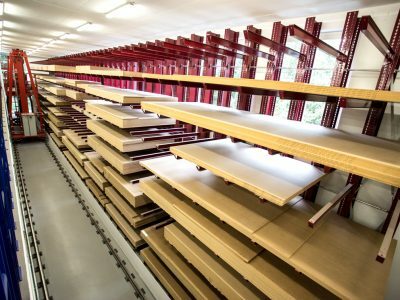 How to automate one hundred thousand square meters?